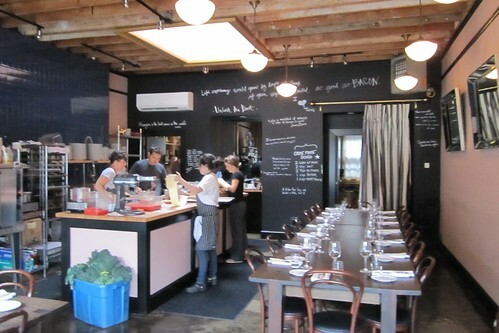 On my last night in Portland, I tried out Beast, a restaurant style supper club for the first time. 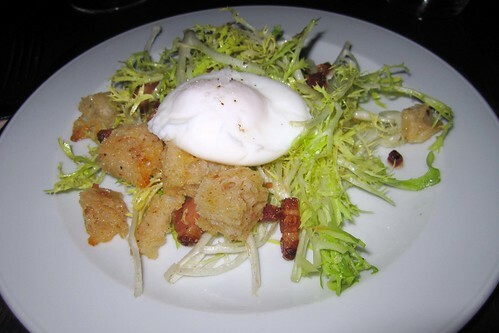 [A restaurant style supper club] is an actual restaurant establishment, functioning almost every day, same place same time, and seats double the guests of a regular underground supper club. It's basically a communal dining restaurant with a fancier name because it only has 1 menu, all guests must RSVP and you dont get to mingle with the chef. Beast seats at least 24 in 2 large dining tables. 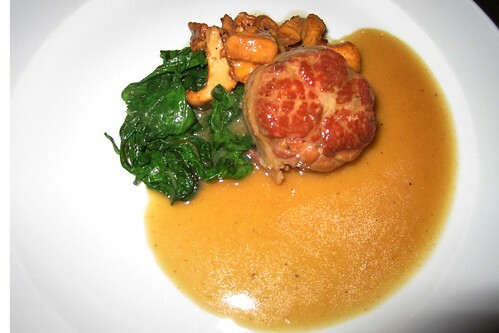 They have a refined and sensual French inspired 6 course meal for $65 and wine pairing for an additional $35. 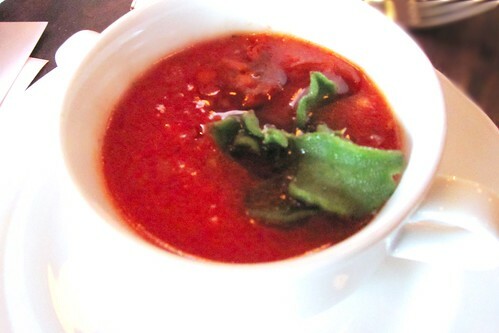 #1: End of summer gazpacho with shaved chorizo. A nice twist to a tomato soup. #1.5: A palate cleanser. 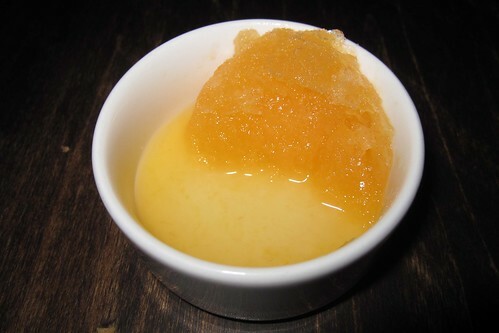 Grapefruit shaved ice. Real grapefruit juice used, not artificial concentrate. 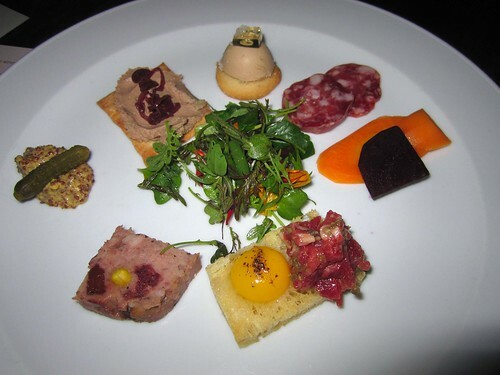 #2: Charcuterie Plate: 12 oclock to clockwise-- foie gras bon bon, sausage, gelee, steak tartare + quail egg, pork liver +sour cherry pate, pickled shallot pork, chicken liver mousse. Center greens to cleanse palette. Steak tartare and foie gras were my favorite! 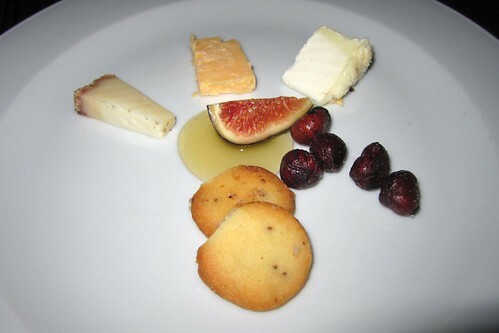 #5: Selection of Cheese paired with shortbread, bittersweet farms honey, figs and candied hazelnut. 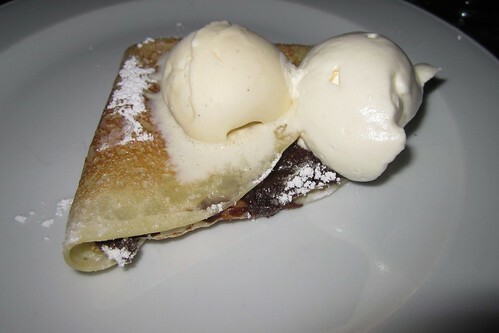 #6: Brown butter crepe and house chocolate + hazelnit spread (HELLO, NUTELLA! ), topped with vanilla ice cream. Needless to say, after 6 glasses of wine, I was feeling gooood--despite that dinner ran over time to 8:45PM, and my flight was at 9:30PM...doh! Thank you Scott and Drew for the free ride to the airport!! Portlander's are the best!